I imagine that anyone who has ever held a Vonnegut novel, even in high school, even in a bookstore, has felt that they know the author, at least on some level. His habit of inserting himself into his books acts as a psychological conduit to understanding the author himself. Or so I thought. It might seem naive that I felt that by reading Vonnegut's novels, I already knew a little bit about the man himself. 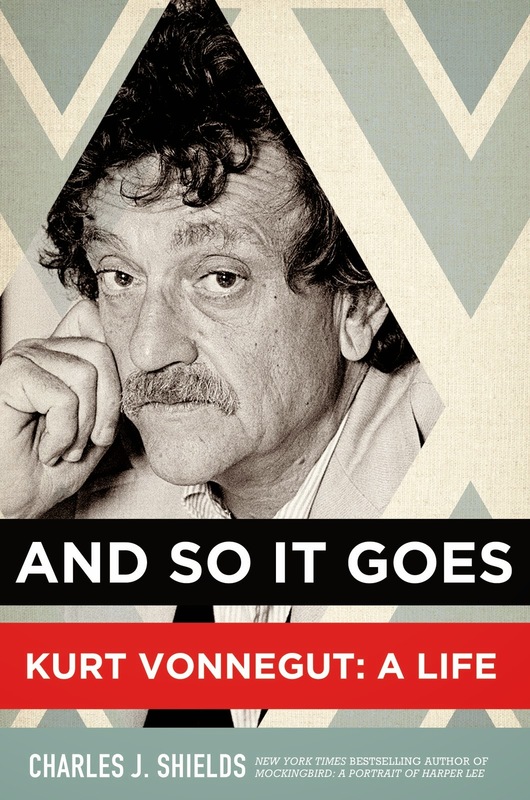 Charles Shields' biography of the author shows, first and foremost that, the author, the man and the persona that appears in the books is not the same Vonnegut. As many other novelists, Vonnegut lived a complicated life. A train-wreck left his nephews orphans, which he and his first wife were too eager to adopt (at least informally). His relationships with his two wives were fraught with fights and misgivings, but so was his the relationships with his publishers. Plagued by spells of alcoholism and melancholy, Vonnegut was often sidelined by the literary elite and lambasted in reviews. The story plays out naturally, with ample exposition for both Vonnegut and his family. Shields does seem to go a bit too harsh on Kurt himself. And So It Goes is by no means a gloating appraisal for Vonnegut's work. At some point I felt that almost all of Vonnegut's novels were described in negative ways. In a way, as a fan of his work, I expected Shields to have something more positive to say.